Beautiful large bungalow ideally located on a quiet street backing onto Welborne Public School in popular Henderson Place. 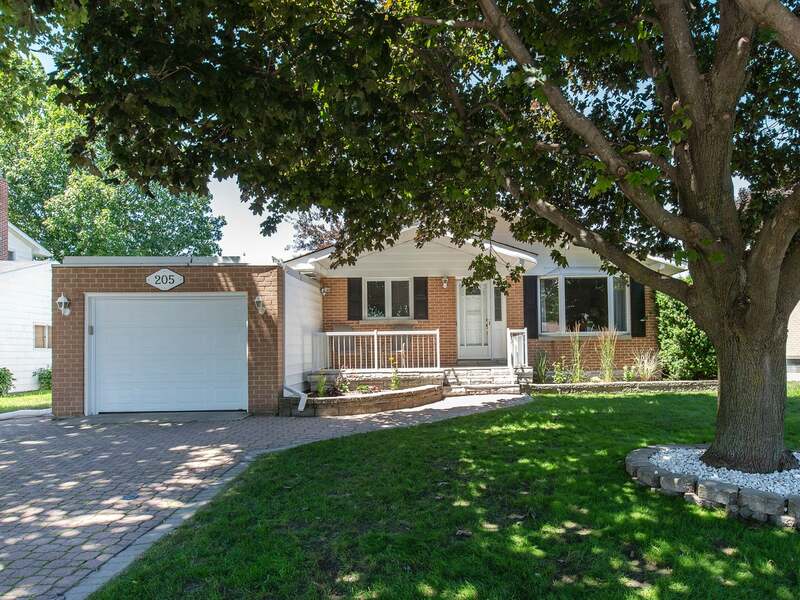 This well maintained 2+1 bedroom, 2.5 bath home is sure to impress. Interlocking driveway/walkway & large front porch lead you inside to a spacious living room, large formal dining room & beautiful sunken kitchen & breakfast/sun room addition w/vaulted ceilings, sky lights & 4-panel patio door to beautifully landscaped & fully fenced rear yard w/interlocking patio, a great place to enjoy time with family or take in the picturesque sunsets. Fully finished lower level offers huge rec room w/gas fireplace, guest bedroom, 3-piece bathroom & large work shop plus lots of storage & walk-up to rear yard. Attached garage w/inside entry and large storage shed. Updates include: New owned hot water tank 2018, New garage door in 2018, New electrical panel 2018, Spray foam insulation to basement workshop and cold cellar 2018, Attic blown-in insulation (to R50) 2018, Central air 2016, High efficiency gas furnace 2015, other updates include windows, roof shingles & much more. An absolute pleasure to show, call to arrange a walk through today! Lot Size 60 x 109 Sq. Ft.